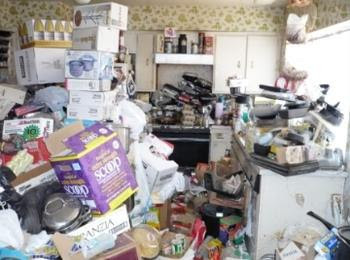 Lofts In The 'Lou: Got Junk? As I type, the City's Preservation Board is re-considering the question of Cupples 7. Normally, I side with the preservationists. Buildings that can be salvaged should be. In real estate though, we sometimes see the result when buildings that should be bulldozed but are salvaged. Whether its economically not viable, or the building remains in shambles after the renovation; there are limits to what can be done. Take Cupples 7. This has been a hot topic for years. There was a thread on UrbanSTL back in 2005 that talked about the damage done to the building during its possession by Bank of America. Having a gravity fed sprinkler systems water tank crash through the roof and 5 floors would lead some to believe that the buildings structural integrity was questionable. 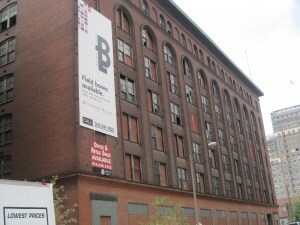 The same issue came up when we listed Cupples 8 (Ballpark I) in the early part of 2009. Uncertainty about what would be necessary to fix the structure was plaguing the developer. In the case of Cupples 7, timing is everything. If there was more life and viability in the real estate market, both residential and commercial, we may be in business. If 300 lofts per year were being scooped up, or the vacancy rate on commercial office space was extremely low right now, there would be developer's lining up to take a crack at it. subsidies. While there are still some buildings downtown that aren't being utilized, its not what we were faced with a decade ago. Lawmakers have to balance the need for the subsidy with other, more pressing needs. Downtown is not the charity case it used to be. After 5 billion in investments and a growth surge in population, many believe that downtown projects should be able to hold their own. So while I would normally take the side of the preservationist, its unrealistic to disregard the position of the owner. All we can ask, is PLEASE....Don't give us another parking lot!! !